Model Tech Studios LLC > HO Scale Railroad Building and Structure Kits > HO Scale Model Railroad WaterFront Kits and Details > RollingStock WEATHERING Set.....Make your Plastic looking cars look more Real ! 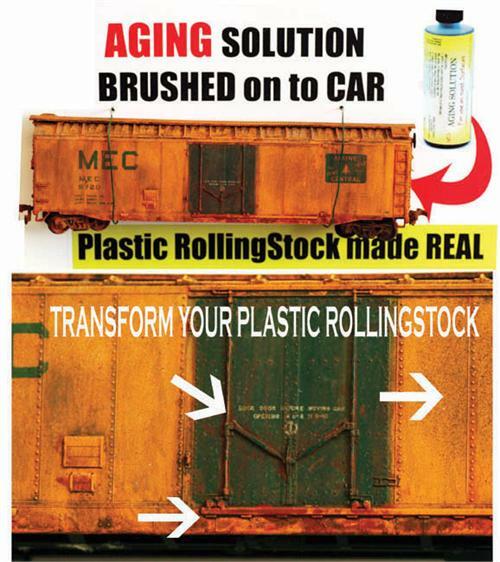 "Tired of your Rollingstock looking too "BRIGHT" and too "NEW" out of the box you get them in? Transform them quickly !"